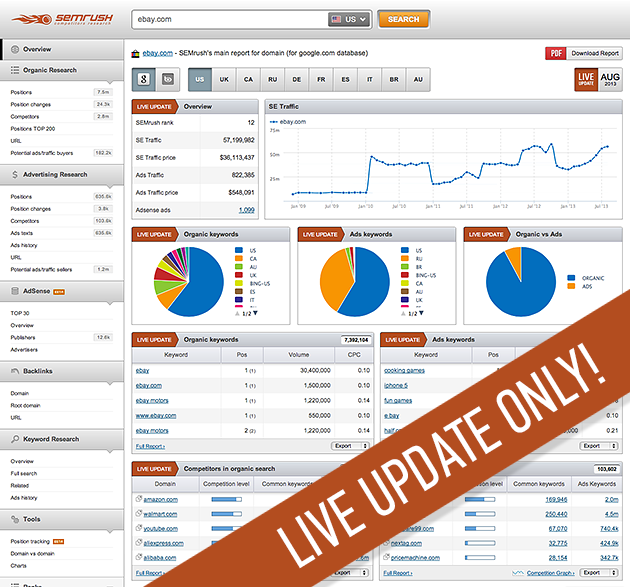 We have great news for all SEMrush users! SEMrush databases are being updated LIVE now! You don't need to wait for the end of the month to get fresh data anymore; all data will be launched once it's collected. The keywords with the highest search volume will be updated regularly. We're super excited to get all these great features into your hands, and always remember that your feedback is critical to our ongoing product improvement. Google has done away with the keyword tool, and now it's not providing keywords in Analytics. Not a problem for SEMrush!